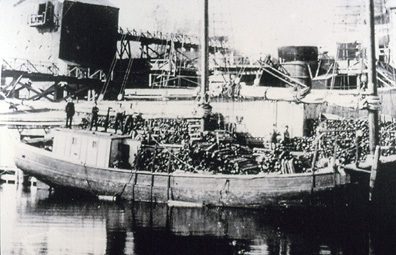 Schooner from Saint John, New Brunswick, unloading cordwood in Rockport for the lime kilns. 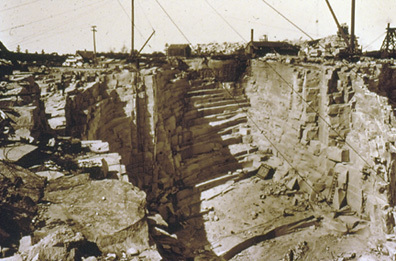 A view of a large granite quarry on Vinalhaven. Sail loft in Thomaston. 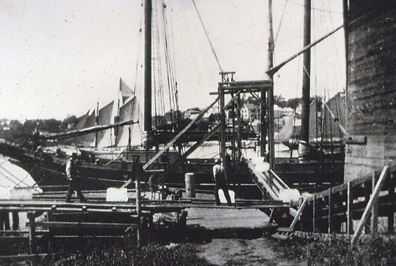 With thousands of sailing vessels to be outfitted in Penobscot Bay over the course of the nineteenth century, sailmaking was an important and popular trade. Note the tools used by a sailmaker in the end of the bench. Sail lofts needed much open floor space. One loft had a suspended wood stove in order to heat the space without losing continuous floor space. 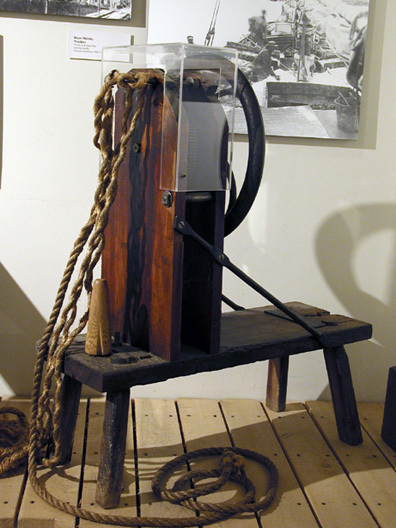 This ropemaking machine twists three yarns that then are twisted into a rope. There was a large ropewalk in Castine. 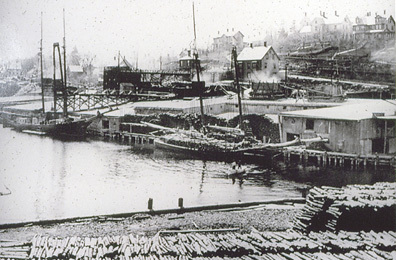 View of Rockport Harbor, with schooners unloading cordwood for lime kilns. 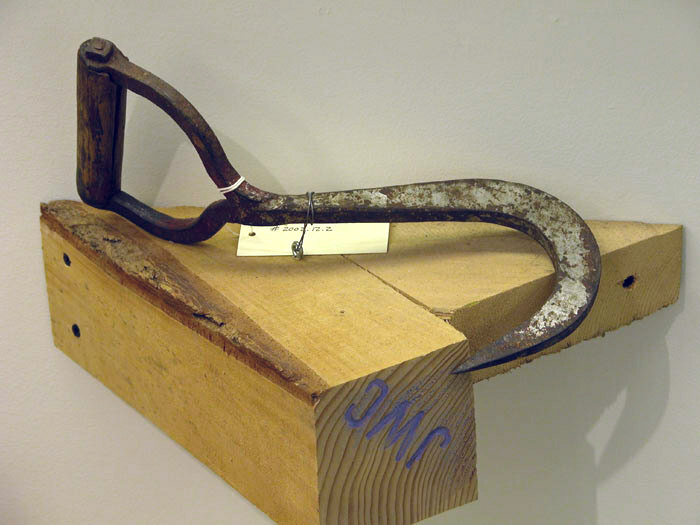 A pulp hook was used to pick up an end of a log. The peavey is used to push and roll logs, both on land and in the water, during log drives. 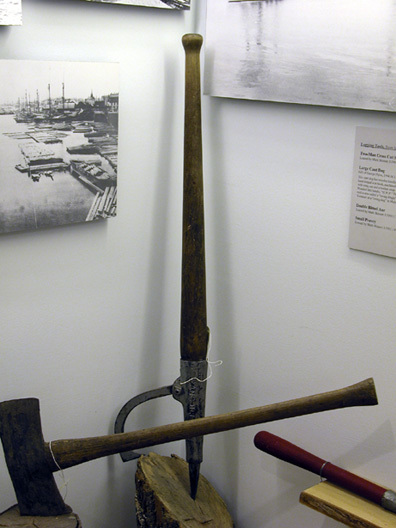 The peavey was invented in 1857 by Joseph Peavey, when he came up with this tool to help break out a logjam on the Penobscot River. 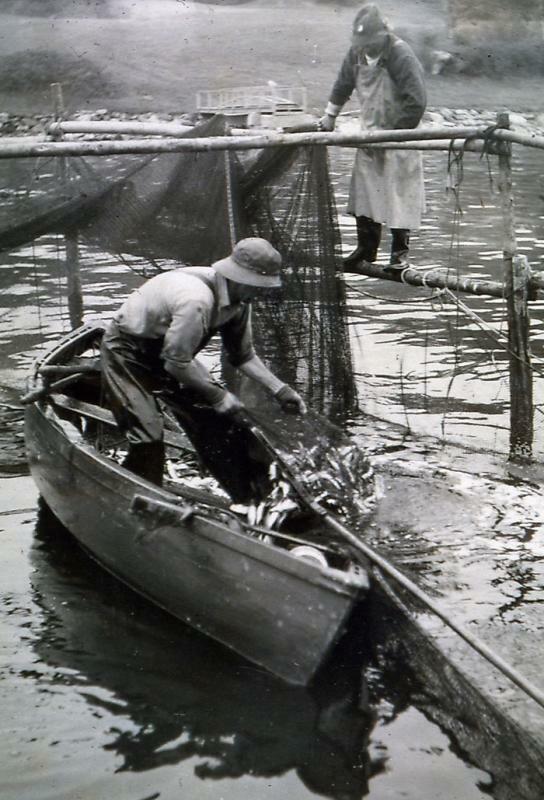 Using a conveyor, ice blocks were moved from the ice house to the schooner. 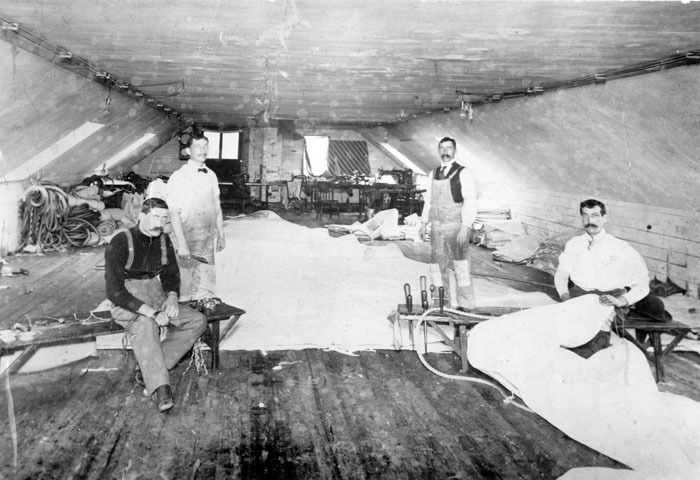 In the schooner, the ice was often insulated with sawdust or hay, to keep it from melting quickly. 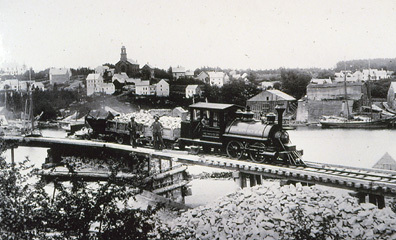 The narrow gauge Rockport Railroad ran from quarries at Simonton Corners to Rockport Harbor. The cars dumped lime rock directly into the top of the kilns.